What Fantasy Action Figure Do You Want? Do you have a Fantasy Action Figure? Which Fantasy Action Figures are your favorites? Whatever you collect you'll find all the latest news and updates on what's available and coming soon here. Looking for a particular Fantasy Action figure? Enter a world of adventure, mystery, magic, a place full of mystical and strange creatures from beyond your wildest imaginings. Adventure across the World of Hyboria a placed filled with cruel gods, mythical creatures, lost civilizations and a struggling human race. Home of the mighty, savage and fearsome Conan the Barbarian. Or travel across Middleearth in the company of Bilbo Baggins. Fight monsters from the depths of Hell and slay fierce dragons. a place for only the bravest of souls and strong of heart. McFarlane has taken some of the World's best loved and most popular Fairy Tales and Myths and grotesquely twisted them resulting in some of the most horrific, macabre and shocking action figures I have ever seen. Nobody has been saved from persecution here, see Dorothy tied and beaten by Munchkins and Little Red Riding Hood avenging the death of her grandmother in full bloody technicolor. These are two "ladies" I don't want to meet at night. Remember Humpty Dumpty and his Great Fall? Ever wondered what happened to poor Humpty? Well, now we know. Here you see McFarlane's version of what happened in this unhappy tale. cross a mountainous land with vast, desolate, plains where there lives a huge magical, mythical and savage beast of Legends, and a time lost long ago. A creature so huge, yet graceful, that it inspired awe, wonder and fear as it soared through the night skies belching forth hot, fiery flames from deep within it's belly. As an avid fan of such fantasy novels as The Wounded Land, The Dragonriders of Pern and of course The Lord of the Rings I have long been fascinating by Dragons since and have often dreamt of someday seeing one in the flesh. Now with McFarlane's Fantasy Action Figures you can create a world of these marvelous mythical beasts in their full glory. With their excellent sculpting and expert paintwork you can almost feel the heat of their breath on your cheeks. Each Fantasy Action Figure is incredibly detailed and brings to life the character in full 3D color! 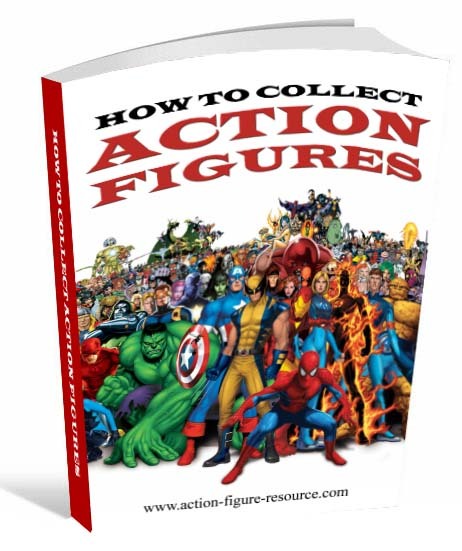 What Action Figure do you collect? Want to know which are the rarest and most valuable? Want to know when they were made, by whom and how many? ...and video reviews of all your favourites? My database is contnously being updated and added to with all the latest action figures as well as your favorite vintage figures. I don't have them all yet, but I am getting there!! All listings are in alphabetical order, exluding such words as "A" or "The" that may be at the start of the title, e.g. The Lord of The Rings is listed under "L", A Bridge Too Far under "B" and so on. Do you have any information or news to share on Fantasy Action figures? Or have any comments to make?